For maximum safety, we chose to use a secure payment system of banking. Security is via encryption technology SSL (Secure Socket Layer) is currently the most reliable and the most widespread on the Internet. Your credit card number and expiration date are always encrypted and never travel unencrypted over the network. 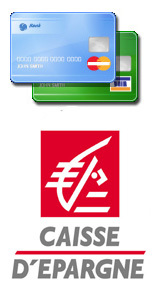 When you make a purchase on www.shower-trays-and-bathroom.com, you are redirected to the website of our partner bank (www.caisse-epargne.fr) to make the payment, your payment is secure just like when you withdraw cash in a dispenser.